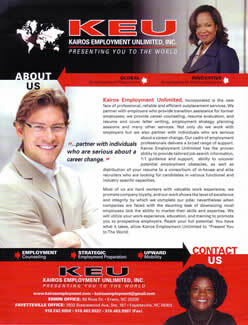 Kairos Employment Unlimited, Incorporated is the new face of individuals who are serious about change. Our clients are individuals who are diligently seeking general, local, professional, and international employment opportunities. Allow Kairos Employment Unlimited to present you to the world. Most Americans are hard workers with valuable work experience, company loyalty, integrity, and dedication to their employers; however, when those companies close their doors, most employees lack the ability or knowledge to market their skills and expertise. Kairos Employment has the proven ability to restructure résumés which highlight the education and experience our clients possess in order to obtain the general and professional positions available with other prospective employers. We can make your work experience and education work for you in ways you never imagined. Using innovative, personalized employment methodologies, a dedicated employment counseling staff, and implementation of strategic employment preparation procedures on your behalf, we can help place you in the job of your dreams. At Kairos Employment Unlimited, we will prepare cover letters along with your resumes; we will communicate with potential employers on your behalf; and we will provide hands-on training assistance with all types of employment documentation, applications, military forms and notary services. 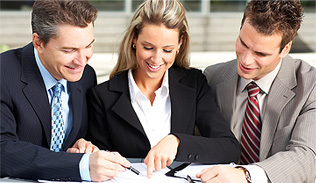 There is a tremendous amount of paperwork associated with international employment processing; thus, we provide assistance with all document preparation. We will assist you with passport applications and security clearance processing in addition to providing the guidelines for establishing electronic banking, criminal records research, and any notary actions. 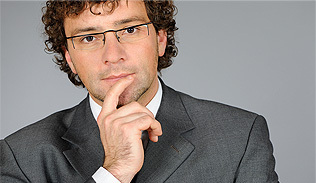 Kairos Employment Unlimited will assist with any or all aspects of your employment. If you know you have skills and experience in a particular field or discipline, but you lack the ability to successfully market your skills, experience, education, and training; allow Kairos Employment Unlimited to present you to the World.